Unibet Poker is an independent poker room tailor-made to accommodate hobby players rather than professional poker players. 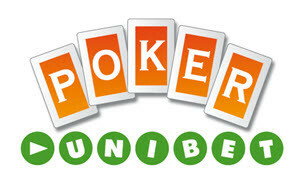 Just like PokerStars and Full Tilt Poker, Unibet Poker is not a part of any poker network. Unibet Poker used to be a part of a poker network (MPN) but broke free in 2014 since Unibet wanted to gain complete control over its poker room. By not being a part of any network, Unibet can use their own proprietary software and set their own rules for the players, including rules intended to make the poker room more appreciated by hobby players. This is noticeable in many different ways, including how the campaigns, the loyalty program and other player perks are designed. You do not have to be a high stakes player or multi-hour grinder to get to enjoy the perks of being a Unibet Poker player. 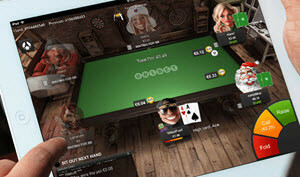 Unibet Poker has its own specially developed poker software that they ordered from Relax Gaming. You can download a poker client (for Windows or or Mac OS) or play directly in your browser. 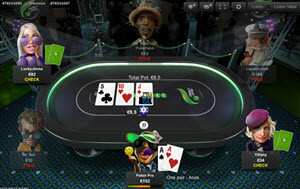 Unibet Poker also has mobile apps available for both Android tablets and iOS tablets. The Unibet Poker software is different from most other poker software used online, and most of these difference are there to protect novice players from being prayed on by more skilled players. A player can for instance change their alias and avatar up to three times a day to shake off a “stalker”. Frequently changing your alias also makes it difficult for other players to gain the upper hand by using poker analyzing software to pin-point your habits. To make it more difficult for a player to actively seek out another player (a player pegged as “weak”), you are not allowed to pick a table in the Unibet Poker software. Instead, you tell the software all the details of what you want – poker variant, bet lever, etc – and is then placed at a suitable poker table. If there is no table (with an empty seat) available that fulfills your wishes, you can insert other parameters or simply wait until two other players request the same things as you. A poker table will then automatically be formed for the three of you, and other players can be placed there later if they insert the same requirements as you did. Heads-up is only available as Sit & Go. Unibet Poker’s variant of fast poker is called Fast Hold’em. As with other types of fast poker, you are moved to another table as soon as you discard your cards. At the new table, a new round is just about to start. Both scheduled tournaments and Sit & Go’s are available at Unibet Poker. Unibet Poker is not a part of any poker network, so all the players you play against in the tournaments are other Unibet Poker members. The tournament selection is limited compared to what’s offered by giants like PokerStars, but Unibet do offer a lot of different tournament formats, including bounty, double start stack, triple start stack and quadruple start stack. Free rolls are arranged 24/7 at Unibet Poker. For tournaments with a large buy-in, Unibet Poker will usually arrange satellite tournaments to make it possible to work your way up to the large buy-in tournament. Unibet Open is an offline poker event arranged by Unibet. During a typical year, Unibet Open will be arranged in a number of big cities – most of them located in Europe. Examples of popular destinations are Copenhagen, London, Barcelona, Paris, Madrid, Milan, Pargue, Warsaw, Dublin, Riga, Budapest and Valencia. You can buy-in directly to Unibet Open or qualify through online tournaments. Some of the tournaments arranged online by Unibet Poker will have travel packages in the price pot; packages that include plane tickets, hotel accommodation, buy-in to Unibet Open Main Event, pocket money, and more. Unibet Poker is an independent poker room where you only play against other Unibet Poker members. At the time of writing, Unibet Poker is #20 on PokerScout’s lists of poker rooms and poker networks with the most traffic to their cash game tables. If you’re looking for heavy traffic, a poker room like PokerStars or 888 Poker is a better choice than Unibet Poker. If, on the other hand, you are looking for a poker room that caters heavily to the needs of the recreational poker player, you should definitely give Unibet Poker a chance. When you register with Unibet Poker, you get a €15 no deposit welcome bonus. The bonus money can only be used to play cash games NL4 €0.02/€0.04. Instead of a classic first deposit bonus, Unibet Poker has opted for a welcome bonus system tailor-made for recreational players that do not turn over huge amounts of money each week. With many other poker rooms, you receive a huge first deposit bonus (e.g. €1 000) when you make your first deposit, but fulfilling the wager requirement for this bonus within the required 30 days turns out to be almost impossible for the average low-stakes player and during this time your account is locked for withdrawals. With Unibet Poker, you will instead earn bonus money gradually once you have made your first deposit and started playing for real money. There is no pressure to clear a certain bonus amount within a certain time frame. Just as the welcome bonus, the Unibet Poker loyalty program was developed with the recreational low and mid stakes players in mind, rather than being a loyalty program where you need to turn over huge amounts of cash each month to reap any of the benefits. The Unibet Poker loyalty program will post various tasks, and when a player fulfill a task that player is rewarded. Some tasks are very easy to carry out while others are a bit more tricky. An examples of very easy task is to see at least one flop at a cash game table three days in a row. The rewards handed out by the Unibet Poker loyalty program are usually not cash, but tournament tickets and similar gifts. The Unibet Poker support is open 24/7 with English speaking staff. You can send an email, use the email support form online, open the live chat window or make a phone call. Free phone is available from many countries, especially European ones. Visti the Unibet Poker site to find out more. The email address to Unibet is info@unibet.com. Unibet was founded in 1997. Initially, Unibet was a sports betting company accepting bets over the phone. Today, Unibet is an international gambling site online offering sports betting, poker, bingo, and casino. It is owned by Unibet Group PLC. When Unibet launched their online poker room Unibet Poker back in 2004, the poker room was a part of the 24h Poker Network. It later moved the poker room to Microgaming’s poker network (nowadays known as MPN) and stayed there for many years. In 2014, Unibet Poker left Microgaming’s poker network to become an independent poker room with no links to any network. Unibet Poker is owned and managed by a Maltese subsidiary to Unibet Group PLC. The poker servers are located in Estonia.